You should avoid accumulating credit card debt, as the interest rate is high (24% per annum). However, the exact same interest rate makes paying down the cards difficult, and it can seem like the debt remains no matter how much money you throw it. How long will give yourself to repay your entire credit card debt? In general, a debt equal to a month of your income should take about four months to pay off. However, if you feel you can handle the deprivation, aim to pay it off sooner. The longer things drag, the more interest you’ll be paying. And so on. Make a physical list of this, so you can tick off your goals as you reach them. A sense of achievement is important to keep you going. A balance transfer is one of the most effective ways to deal with your credit card debt. In order to do this, you need to find a credit card with a 0% balance transfer option - this means that your debt will be transferred onto the new card, but will have a 0% interest rate for a fixed period (usually six months or one year). As there is no compounding interest on your debt, you will be able to pay it down faster. However, you must have the discipline to not use any more credit until the debt is completely paid off (otherwise you will just have debt on two different cards). You can use SingSaver.com.sg’s tools to compare balance transfer credit cards. A personal loan has a much lower interest rate than a credit card. 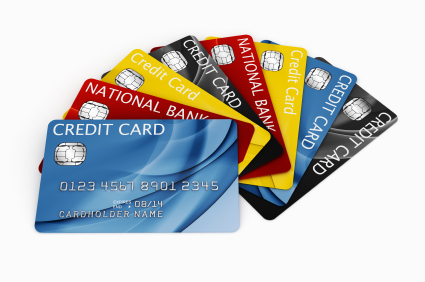 This ranges from 6 to 8% per annum, as opposed to the credit card’s 24% per annum. A simple way to lower your debt’s interest rate is thus to take out a personal loan, and use it to pay off your credit card debt. If you take the time to compare personal loans, you may find promotions with even lower rates. It takes forever to pay off your credit card debt by always paying the minimum, and by the end of 10 or 20 years (your debt will last that long with only minimum payments) you would have paid several hundred times your expenses in interest. The credit card minimum payment is usually S$50, or 3% of the total debt, whichever is higher. Aim to exceed this amount by at least S$100 if you can. You will never pay down your debt if you are actively using your credit card. It is advisable to keep your card under lock and key while paying it down. At the AXS machine, input the card number manually so you don’t need it in your wallet. With all the fancy rewards and cashback you get from spending with a credit card, it’s easy to forget to do a credit card comparison for the lowest interest rates. Don’t let the welcome gifts, air miles per dollar spend, and cashback percentages fool you. At the end of the day, if you don’t pay for your credit card bill within the grace period, these rewards wouldn’t help you clear your debt.